Tinkerers, you are in for a treat today: my friend Tara from Tara’s Naturals is here to chat about all things soapy, biz and work-life-balance. 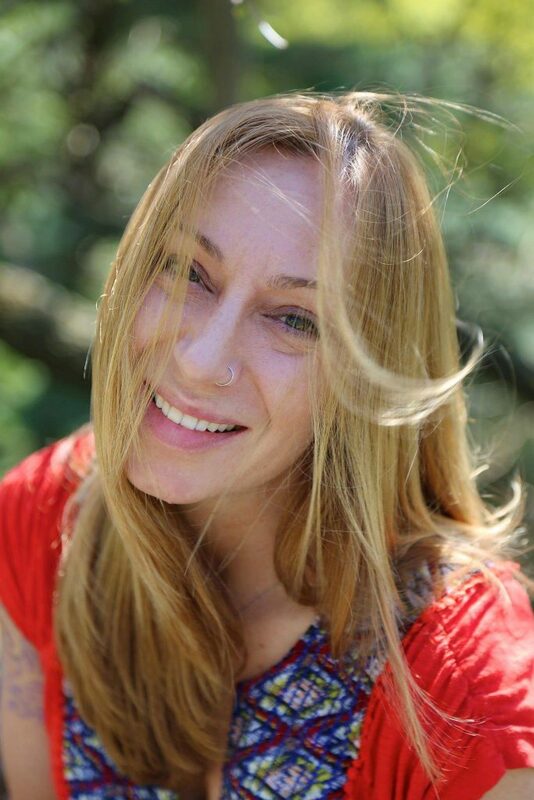 Tara is a vegan soap maker and skincare formulator who loves to let nature’s beauty shine in her products. 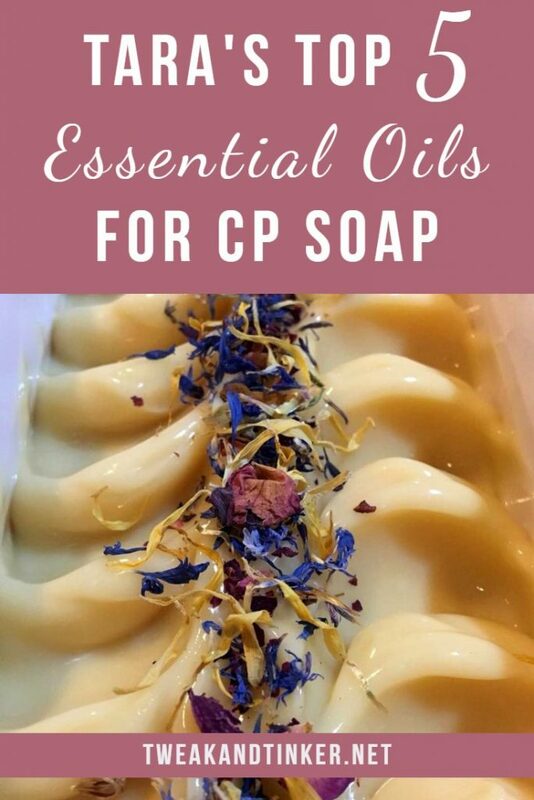 She also has a knack for composing her own essential oil blends that she uses to scent a big array of all natural body care products and candles. Hi and welcome Tara, can you tell us little bit about yourself? Hi! I’m Tara, a 51-year-old Mother of two, living and working in Bergen County, NJ. I have had a full-time job for close to 30 years. I’m also a 200-hour certified yoga instructor and the owner of Tara’s Naturals – a small, local Natural Bodycare business. How and when did you first learn to make soap? 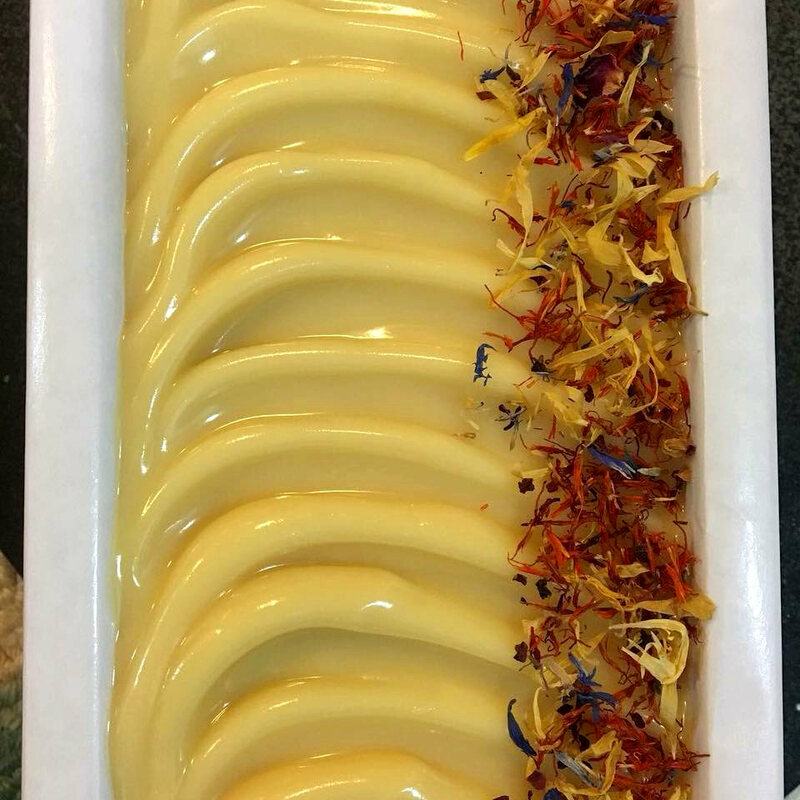 Years ago, my sister owned a store called “Bathing Beauties Bath Shop.” Among her many lovely bath and body care offerings, she carried a couple of vendors that made really beautiful natural hand-cut soaps. These were my favorite items in her store. I used to love to pick them up off the shelf and breathe in their beautiful scents. I loved the way they made my skin feel, and I felt good about using something that was all natural. I think a seed was planted in me way back then, because it was always a dream of mine to learn how to make soap after that. Then in February of 2014, I took my first ever vegan, herbal and aromatic soap-making class in New York City. It was at the NY Open Center, and it was such a great experience! I’ll never forget my first day – I was so excited that I got there waaaayyyy too early! Haha, it really felt like a dream come true! That was just the beginning of what’s sure to be a life-long love affair! What’s your favorite bath and body product to make? Soap is by far my favorite bath product to make, because you get to be so creative! 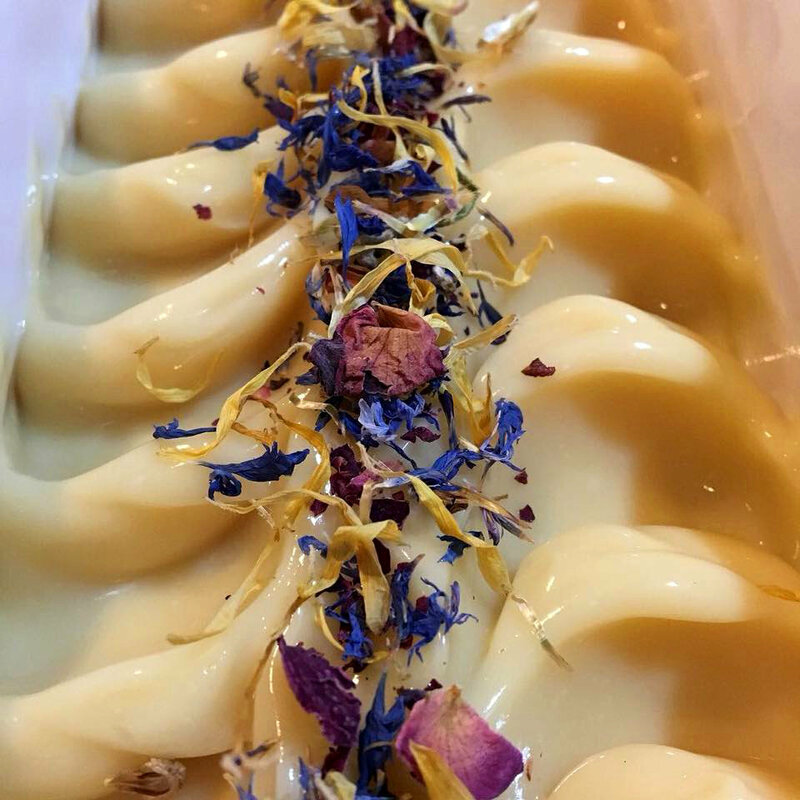 I love using plant material as natural colorants, coming up with beautiful essential oil blends to scent the soap, and adding dried flower petals and herbs to make it look rustically pretty. It’s so much fun for me! I also get a lot of satisfaction from making my natural deodorant. It does my heart the most good to share this particular product, giving people a safe and effective alternative to toxic, chemical-laden products – especially for women, in that most-sensitive area. And it really works! What are online resources you often use for soapmaking and product formulating? Is there an aspect of soapmaking that you would like to learn more about? What other products are you interested in learning to make? You know, I have to admit that I get “soap envy” when I see some of these beautiful soap creations from other soapers online – butterflies and hanger swirls and funnel pours and all of these fancy techniques that I just can’t seem to master. My soaps have their own rustic charm, but at some point I’d like to take an advanced soap-making class to learn some of those techniques. There really is a wealth of resources out there so it’s just a matter of finding the time to do the research and gather the information. I plan on taking an herbalism course, too! Oh, and I’d love to learn how to make bath bombs – Fun! Do you have a favorite supplier and what do you like to order from them? 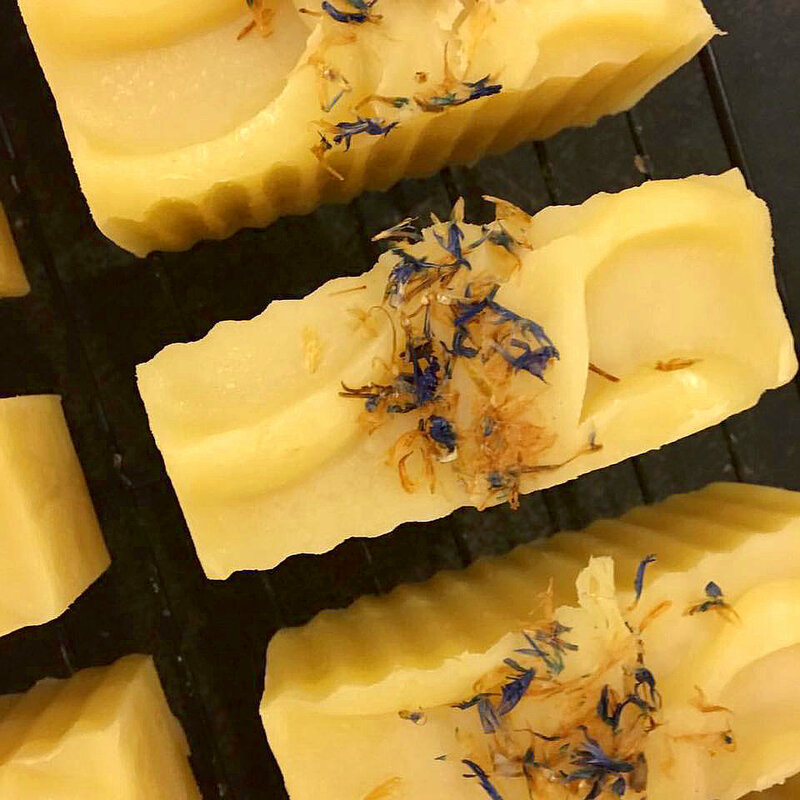 What are your top 5 essential oils that stick well in cold process soap? So, tell us about Tara’s Naturals. How did you get started? What’s your philosophy and what are your dreams for the future? I actually started making soap and natural bodycare products (like body scrubs and whipped body butters) to give out as homemade Christmas gifts for people. I started posting pictures of my creations online (Instagram and Facebook) and to my delight, people wanted to buy them! After about 6 months, I started selling products and the business just took on a life of its own. I feel really blessed that I’ve had a great amount of local success. My mission is to provide beautiful, safe and effective natural bodycare products, free from toxic chemicals, that people can feel good about sharing with their friends and families. Products that make them feel good and smell good and bring them happiness. I put a lot of love into everything that I make and do! My dreams for the future would be to grow and expand my business, building a wholesale presence in stores and yoga studios, etc. I’m juggling a lot right now, but I’m inching my way there. I’m now an official HSCG member and I have obtained insurance. I’m currently working on labeling and packaging so that I have a cohesive, recognizable, “finished” look. And I’d love to have my own workspace one day instead of making everything out of my own kitchen! Can you share some lessons you’ve learned along the way about balancing a day job, a soap biz and your personal life? The answer is in the question just posed to me: balance. Finding balance is certainly the key! The first couple of years, especially during the holiday season, things got really crazy for me. The business just exploded and I wasn’t prepared for it. I was working days and nights and weekends. Lots of late nights, little sleep and eating dinner standing up at the counter. It still takes up a lot of my time, but it should! It’s a growing business and a true labor of Love. I can’t complain because I love doing it – being in “The Soap Factory” is my happy place! But now I try to carefully plan in advance, ask for help when I need it, make sure that I make time for my relationship and my friends and family, and I definitely make sure that I get to yoga class! Yoga keeps me sane, and that’s the one thing I will never compromise on. I’ll leave you with this: Even if no one ever bought another bar of soap from me I would still do it, because it’s what I’m passionate about, and it makes me really happy. You can find Tara on Instagram and Facebook. Great article about you Tara I’ve got to learn more about you and your business other than just loving your products. Remember me when you’re ready to wholesale I would love to represent you and your company in Florida. Her products are truly amazing💫. Hugs 🤗 with ever purchase. I can’t survive with out Tara’s body butter. It’s an honor to know her. This interview was so lovely. I wish her all the best and I will continue to buy from her.